While cities across the U.S. clamor to land Amazon's second headquarters, one group says it doesn't want the retail giant moving into Northern Virginia. 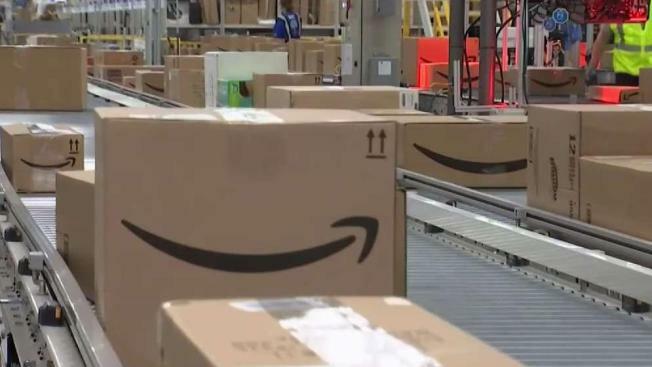 The Metro DC Chapter of the Democratic Socialists of America has launched the site NOVA Says No To Amazon and says local leaders are being secretive about what they are offering the company to draw it to Virginia. “Our communities have real needs that aren’t being met by our elected leaders while they spend their time and resources trying to chase after some of the money that’s coming out of the third-most valuable corporation on the earth and the pockets of the wealthiest man on the planet,” said Colin Downes, a spokesperson for the Metro DC DSA. DC, Northern Virginia and Montgomery County, Maryland, are among the 20 metropolitan areas Amazon is considering. The idea of luring Amazon has left dollar signs in the eyes of many local leaders because it would bring more than 50,000 jobs and billions of dollars into the area. “The benefits are so humongous. This is really big. Nobody has really covered how big this is for a region like the Washington region,” said Dr. Stephen Fuller, with the George Mason University's School of Policy and Government. Downes and others are bothered by the lack of transparency in the negotiations. “This entire process has been conducted in remarkable opacity, which creates a race to the bottom between municipalities to offer the biggest package of tax and subsidy deals to Amazon that they can cobble together,” Downes said. Metro DC DSA has filed Freedom of Information Act requests to try to find out more about the incentives being offered to Amazon. “[We are] demanding our rights as citizens, which is to have this process conducted in the open in a transparent way that allows for democratic accountability and for us to know whether they’re giving away the farm,” Downes said. Fuller pointed out that landing most big business deals typically happens with some backroom negotiating. “You don’t want to pay more than you have to, I think is what should be the guiding principal here,” he said. News4 has reached out to some Virginia officials about the offers to Amazon, but they declined to discuss on camera.